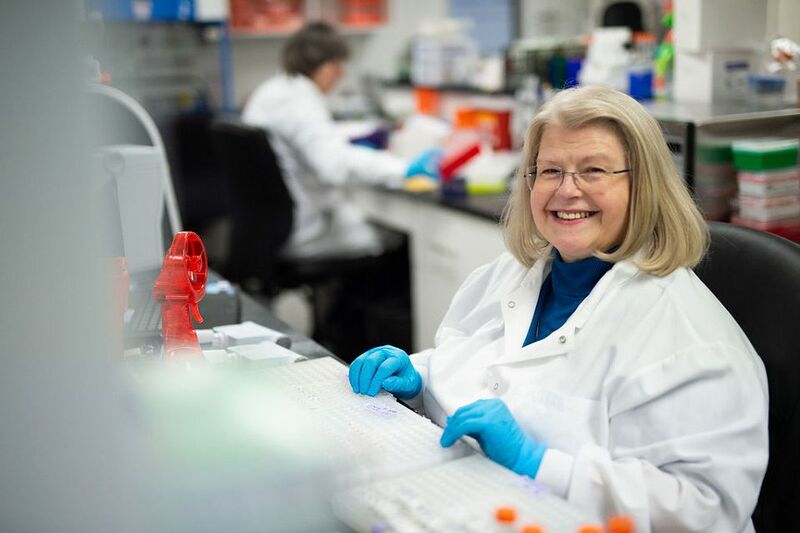 We are dedicated to discovering novel biological targets and developing drugs that profoundly improve the lives of people born with rare metabolic defects who are unable to sustain basic biochemical processes necessary for life. Our proprietary human disease models enable us to recreate and interpret complex human biology. 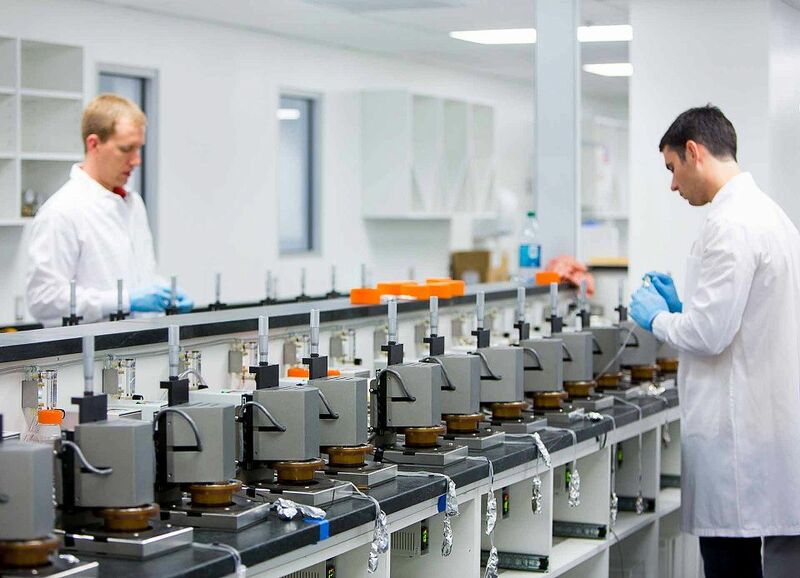 We believe that no other company can match our ability to understand hepatic, tumor, or vascular diseases, and we value partnerships with other companies dedicated to accelerating novel therapies for challenging diseases. HemoShear is more than our science and platform. We are a team of dedicated, innovative, and enthusiastic professionals that are passionate about our mission. 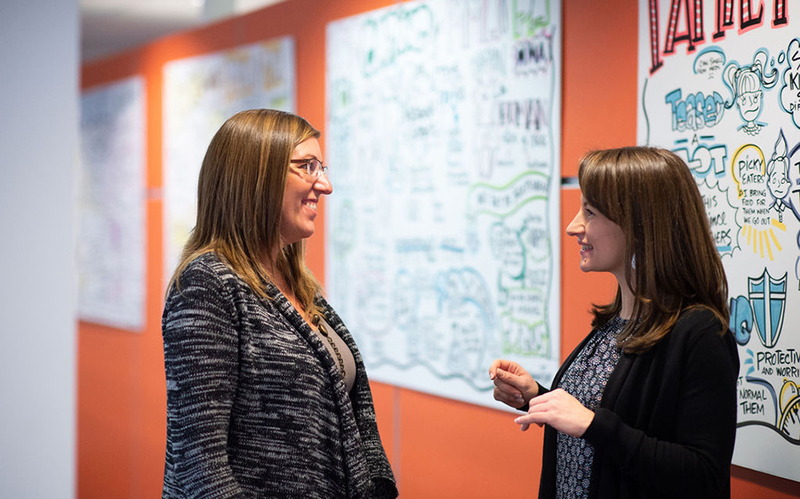 Our values foster an environment in which we ask the tough questions and work collaboratively with urgency to discover breakthrough drugs to improve lives. Prior to joining HemoShear in August 2008, Mr. Powers was a member of the executive team that took PRA International (now PRA Health Sciences) public in 2004. He transitioned PRA from a clinical data management company to a global clinical trials management organization, recruited its first operations leaders and led PRA’s business development activities. Mr. Powers served as an advisor to the UVA-Coulter Translational Research Partnership, which was funded by the Wallace H. Coulter Foundation. Mr. Powers was on the boards of CellzDirect and Averion during the time that both companies were successfully sold to larger R&D businesses. In 2014, Mr. Powers was selected to join PharmaVoice’s Top 100 most inspiring leaders in pharma. He currently serves on the board of Virginia BIO and is chairman of the Virginia BIO Foundation. Mr. Powers received a B.S. in administration and management science from Carnegie Mellon University. Dr. Wamhoff co-invented the HemoShear technology and directed the successful development of human models of the vascular system, liver diseases and the tumor microenvironment. His efforts led to the launch of HemoShear’s proprietary drug discovery programs in rare metabolic diseases. Advancement of HemoShear’s REVEAL-TXTM platform has been achieved in part by Dr. Wamhoff’s role in securing significant NIH Small Business Innovation Research funding from five different NIH institutes. His passion and scientific vision have fueled the formation of productive partnerships with Takeda, Horizon and Carnot Biosciences. Dr. Wamhoff, former Associate Professor at the University of Virginia, has co-founded multiple medical device and therapeutics companies. He has authored or co-authored more than 70 papers and has been issued more than 10 patents. Dr. Wamhoff obtained a B.S. in biology with a minor in business administration from Rhodes College, where he was the 2011 Distinguished Alumnus; he received his Ph.D. in medical physiology from the University of Missouri. Prior to joining HemoShear in 2016, Dr. Reardon was the Chief Scientific Officer at Cardioxyl Pharmaceuticals, Inc., where he successfully led development of a heart failure therapeutic into Phase II studies. Cardioxyl was acquired by Bristol-Myers Squibb in 2015 in a potential $2B deal. Before joining Cardioxyl, Dr. Reardon was Executive Vice President and Chief Scientific Officer at Integrated Oncology Solutions, Inc. Dr. Reardon also spent 19 years at GlaxoSmithKline and its predecessor companies where he held a variety of leadership positions. Dr. Reardon received a B.A. from Willamette University, Oregon and a Ph.D. in chemistry from The Ohio State University. 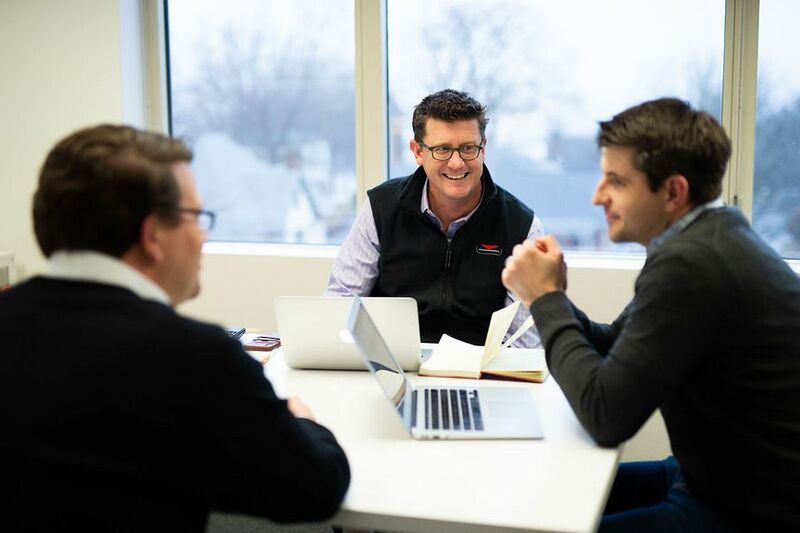 Prior to joining HemoShear, Mr. Holsinger was Chief Financial Officer of education technology company Cricket Media, where he led the company through a public offering and ultimately returned to private status. Previously Mr. Holsinger held CFO and VP Finance positions with MCT, a cellular telecommunications provider in Russia and Central Asia; the Baltimore Stallions, a franchise in the Canadian Football League; and the Baltimore Orioles. Mr. Holsinger began his career with Arthur Andersen in Washington, DC and received his B.S. degree in accounting and management information systems from the University of Virginia. Prior to joining HemoShear in August 2008, Mr. Powers was a member of the executive team that took PRA International (now PRA Health Sciences) public in 2004. He transitioned PRA from a clinical data management company to a global clinical trials management organization, recruited its first operations leaders and led PRA’s business development activities. Mr. Powers served as an advisor to the UVA-Coulter Translational Research Partnership, which was funded by the Wallace H. Coulter Foundation. Mr. Powers was on the boards of CellzDirect and Averion during the time that both companies were successfully sold to larger R&D businesses. In 2014, Mr. Powers was selected to join PharmaVoice’s Top 100 most inspiring leaders in pharma. He currently serves on the board of Virginia BIO and is chairman of the Virginia BIO Foundation . Mr. Powers received a B.S. in administration and management science from Carnegie Mellon University. Mr. Brooks is the CEO and President of NeuroBo Pharmaceuticals, Inc. and the Managing Director of Healthcare Capital LLC, which specializes in advising innovative, early-stage life sciences companies. Mr. Brooks is on the board of a number of for-profit and not-for-profit organizations, including Cellnovo (chair), Thermalin Diabetes (chair), Noxilizer, Hygieia, College Diabetes Network (chair) and Suffolk University. Mr. Brooks is the former President and CEO of the Joslin Diabetes Center, has co-founded seven life sciences companies and was co-founder of Prism Venture Partners, a $1.25B venture capital firm. Prior to that, Mr. Brooks was a senior executive at Pfizer and Arthur Andersen. He holds an M.S. in Business Administration and a B.B.A. from the University of Massachusetts at Amherst. He is a Certified Public Accountant. Dr. Gould is President and CEO of Fulcrum Therapeutics, Inc., a privately financed drug discovery and development company with a focus on genetically defined diseases. Prior to Fulcrum, Dr. Gould was President and CEO of Epizyme, Inc., where he led the company through a successful public offering. From November 2006 to March 2010, Dr. Gould served as Director of Novel Therapeutics at the Broad Institute of MIT and Harvard. Previously, Dr. Gould was Vice President, Licensing and External Research at Merck Research Laboratories, where he held a variety of leadership positions during his 23-year tenure. Dr. Gould received a B.A. 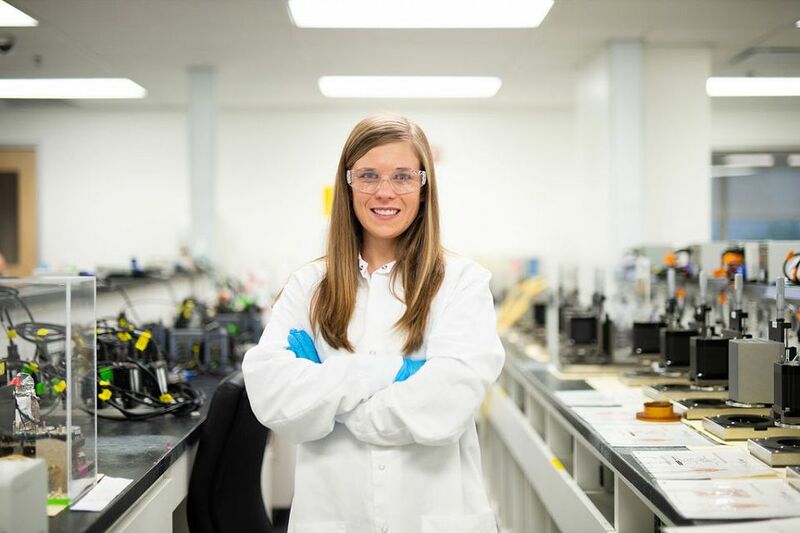 in chemistry from Spring Arbor College, a Ph.D. in biochemistry from the University of Iowa, and completed postdoctoral studies at Johns Hopkins University. Dr. Gould also serves on the boards of Fulcrum, Turnstone Biologics and Spring Arbor University. W. McIlwaine (Mac) Thompson, Jr. is a founding investor and a founding board member of HemoShear. He is of counsel to the law firm of Woods Rogers PLC and has represented companies in diverse fields including biotechnology, information technology, education and manufacturing. Mr. Thompson is on the board of directors and past chair of the UVA Curry School of Education Foundation and a member of the board of directors of Virginia Humanities. He has been on the board and past chair of the Community Investment Collaborate, a Charlottesville-based education and micro-finance organization. He is also a board member of a number of privately-held companies. Mr. Thompson graduated from Yale College in 1969 and the UVA Law School in 1972. Mr. Watkins was President, CEO and a Director of Human Genome Sciences (HGS) from 2004 until the company was acquired by GlaxoSmithKline in 2012. During his tenure, HGS successfully developed and brought Benlysta to market, the first new lupus drug to be introduced in over 50 years. Prior to HGS, Mr. Watkins spent more than 20 years in senior roles at Abbott and its affiliates in the U.S. and Asia. During that time, he was President of TAP Pharmaceutical Products, Inc., where he led the growth from approximately $2 billion to over $4 billion in annual revenue. Previously, Mr. Watkins was a consultant with McKinsey and began his career with Arthur Andersen. He is former Chairman of the Biotechnology Industry Organization and continues to serve on its board. He is currently Chairman of the Board of Vanda Pharmaceuticals, Inc., and on the board of Horizon Pharma plc. He also serves on the board of Visitors of the College of William & Mary and the board of the Ann and Robert H. Lurie Children’s Hospital of Chicago. Mr. Watkins received his B.B.A. in accounting from William & Mary and his M.B.A. from the University of Chicago Graduate School of Business, now the Booth School of Business. Mr. Woods is a founding investor and a founding board member of HemoShear. He was CEO of Butler International, where he led a successful corporate turnaround, public offering, listing on the NYSE, and eventual cash sale of the company managed by a major investment bank. He later co-founded a merger and acquisition consulting practice specializing in the insurance industry. His board affiliations include Scitent, Inc. and the University of Virginia Heart and Vascular Center. He was co-founder of the Keswick Community Foundation and has served on the board and executive committee of Habitat for Humanity of Greater Charlottesville. He earned B.S. and M.S. degrees in engineering and an M.B.A. from Cornell University. Professor and Chair, Division of Gastroenterology, Hepatology and Nutrition, VCU; Chairman, NIH NASH Research Network. President, BRG LLC; VP Global Pricing, Reimbursement and Health Economics, Synageva BioPharma; Head of Pricing, Amgen; Senior Economist, RAND. Every day, we are working toward discovering new therapies to treat diseases and make a difference in people’s lives. HemoShear provides a fast-paced, highly collaborative work environment. 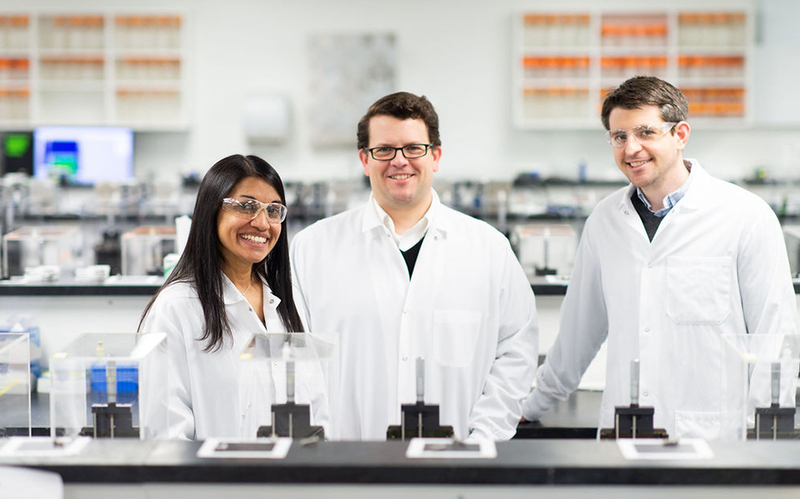 We offer our employees opportunities to advance knowledge that will lead to new drug discoveries. HemoShear seeks outstanding scientists and other professionals. If you are interested in joining a company that is changing the drug discovery and development paradigm, then contact us at careers@hemoshear.com.